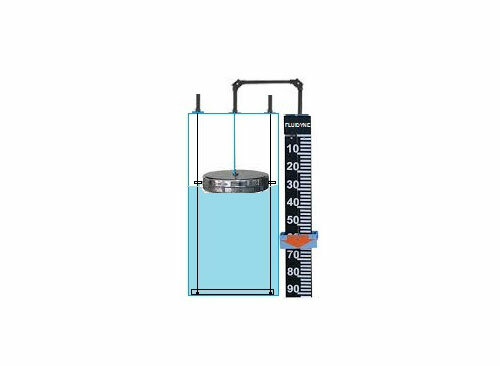 Our range of magnetic liquid level indicators are designed to provide high clarity indication of liquid level. The float-containing magnet in the indicator rises and falls with the liquid. As the float moves, this information is transferred to the indication rail or follower magnet mounted on the outside of the tube. The red colored follower magnetic capsule or white and red indication flaps represent level of liquid. 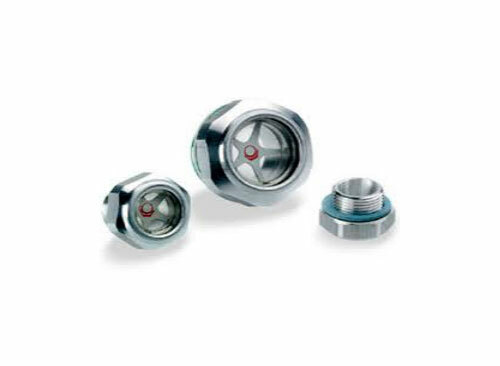 Liquid level is also indicated by magnetic contacts in the form of reed or micro switches.These magnetic level indicators, liquid level indicators can be mounted in various orientations, such as onto the side of the vessel and top of the vessel or if required on the bottom. 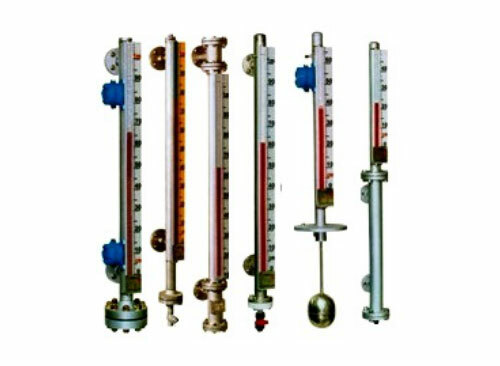 Our range of Magnetic level indicators are used for high pressure, high temperature, colored and corrosive liquids. Highly efficient, our float and cord level indicators are perfectly aligned and come with a pulley and scale. Our float and level indicators are highly suitable for outdoor usage, as they use dust proof pulley housing. Spring Tensioning assembly is also provided additionally for guide wires. 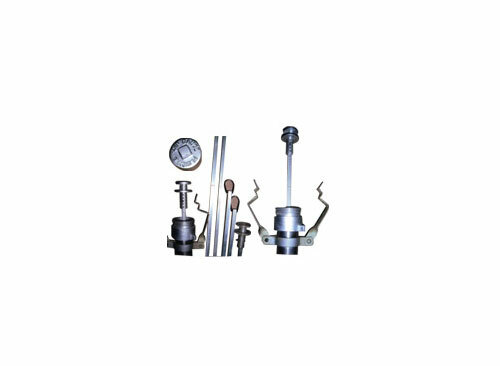 The floats available by us can be custom designed as per specific industrial requirements. For all types of Storage Tanks. Perfectly Aligned guide wire, pulley and scale. Ideal for outdoor installations. Cast Aluminum Pulley Housing. Spring Tensioning assembly for Guide wires. Our dipsticks are made of superior quality Non Sparking material with calibrated scale for fast and accurate measuring of the fuel level. These equipment are designed for the personal safety of the person inspecting the tank. For measurement, simply dip the stick in the tank and the fuel level can be read off against the calibrated scale on the side of the dip stick. With Stainless Steel Dip Tape. 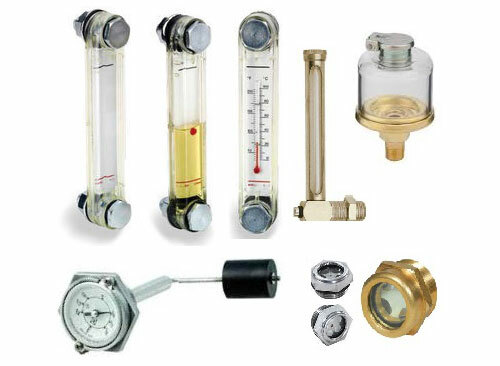 Fluidyne manufactures various oil and water level indicators like Banjo Coupling Type, L-Type, Constant level oiler, Magnetic Dial Type and Knob Type in various materials like Stainless Steel, Brass, Acrylic, Cast Aluminum. Knob type level indicators are manufactured in sizes ½”up to 2”. 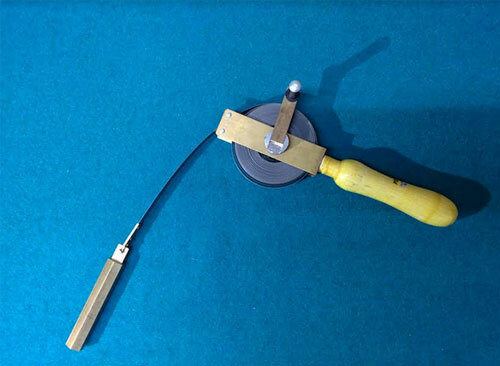 Magnetic Dial Type level Indicators are manufactured for oil and water tanks. 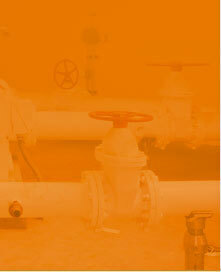 Fluidyne Knob type Level Indicators are standardized and also made to our customers’ specifications. 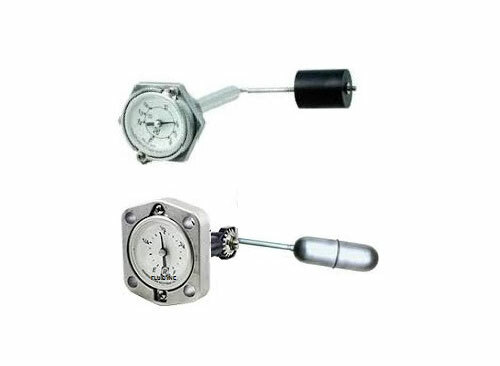 These indicators are used in a wide range of applications like oil tanks, gear boxes, compressors , oil lubricated equipments and used as observation window in certain equipments..Fluidyne Knob type level indicators are made in Aluminium, Stainless Steel, Brass, Bronze. Sizes: ½” to 2.1/2”. Fluidyne dial type float level indicator or dial type oil or water level indicator gauge incorporates a float with movement associated with the oil or water level which is transmitted to the dial trough a magnetic coupling system. The float is available with either axial or radial movement. The dial shows marking corresponding to the levels in the tank.Fluidyne dial type float level indicatorshave a magnetic couplings to ensures a reliable level transmission between float arm and pointer. Leakages are avoided as it is a glandless design. These indicators are used in transformers, oil tanks, railway water tanks and numerous other applications.